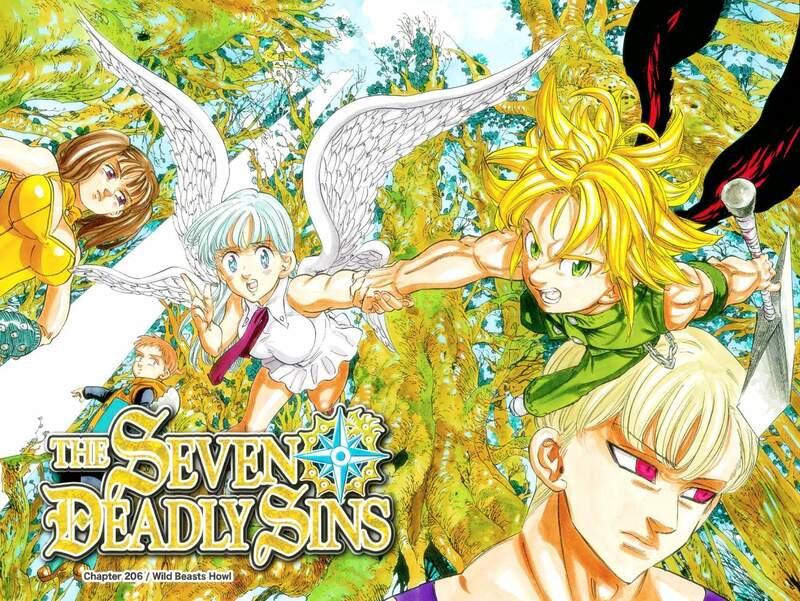 A second anime series of The Seven Deadly Sins was confirmed on September 27, 2015, to air in 2016. This turned out to be a four-week anime television special featuring an original story by Nakaba Suzuki, titled The Seven Deadly Sins: Signs of Holy War (七つの大罪 聖戦の予兆 Nanatsu no Taizai: Seisen no Shirushi), that began airing on August 28, 2016, on MBS and TBS. The special was produced by A-1 Pictures, directed by Tomokazu Tokoro, and written by Yuniko Ayana and Yuichiro Kido, featuring character designs by Keigo Sasaki. At first, I thought this was the second season on Netflix for The Seven Deadly Sins. The animation is on par with season one, which is great. The music was composed by Hiroyuki Sawano and Takafumi Wada. Its opening theme song is “Classic” by the rock band Mucc and its ending theme is “Iroasenai Hitomi” (色褪せない瞳) by Alisa Takigawa. The opening song is on par with the first season theme songs, as it is catchy and upbeat. The ending song is a little more somber, but not quite as good as the other themes. This four episodes season is more of what you love from the first season, except most of the story isn’t canon. Despite they are mostly filler, they are a meatier type of filler than say your slapstick Naruto variety. You get a little more backstory and a little recap, and finally a teaser of what to come in the second season. This short season is mostly teaser and filler episodes just to announce the second season is coming. I gobbled it up entirely. Netflix tricked me. Imagine my disappointment when it ended after four episodes. A commercial following the final episode confirmed a second anime series has been green-lit. Highly recommended for the fan of the series. This anime contains crude humor, moderate suggestive themes/dialogs, and graphic violence. Intended for young adults.